The Bucas Celtic Stable Medium Rug is a durable, strong, performance stable rug with premium features and a detachable neck cover that's available to purchase seperately. This superb mediumweight stable rug is made using a Polypropylene outer fabric with 150g polyester fill and Bucas anti-bacterial Stay-Dry lining. 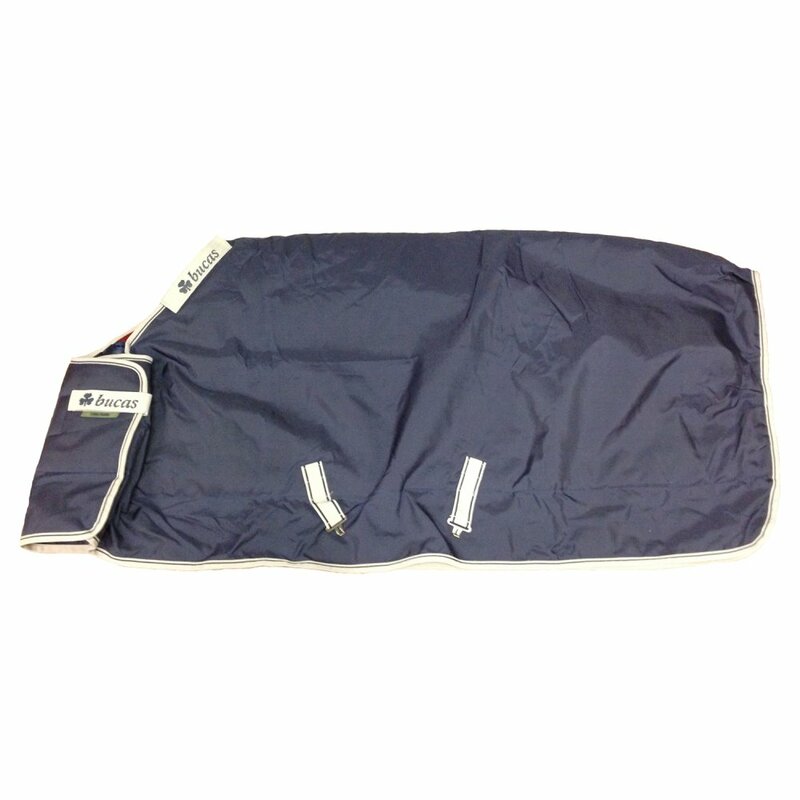 This Stay-Dry lining wicks moisture away and ensures that your horse is always dry, it can therefore be put on a wet horse the same way as a sweat rug. It will quickly dry the horse and can be left on, thus avoiding extra blanket changes on chilly evenings. The anti bacterial lining helps to keep the rug fresh and in good condition and the nylon shoulder lining helps to prevent rubbing. Bucas Celtic Stable rugs have an easy to use Click'n Go closure system that's quick to open and close, alongside an overlapping front which has double padding for extra protection. The neck line also has pleats to give extra room in the shoulders for maximum comfort. The Bucas Celtic Medium Stable Rug is a great rug for year round use on colder days or nights and is even cosier when worn with the combi neck cover.